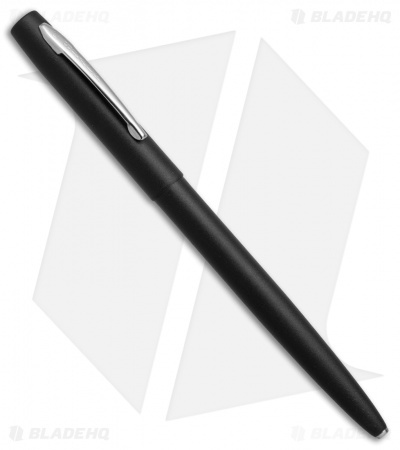 The Cap-O-Matic Fisher Space Pen features a click-cap retractable pen tip for one-hand opening. The body is Matte Black with a chrome clip. Comes with a black medium point cartridge. The pen is too thin. It is horrible to write with. This is the second ‘space pen’ and the other one was junk as well.